We’re a friendly bunch and invite you to join us! Membership of Capel Ladies Club is open to all ladies in Capel St. Mary and surrounding areas. We meet on the first and third Thursdays of every month, with one in-house meeting and one outing/trip each month. Details of our meetings are available in our 2019 Programme. You are very welcome to come along to one of our in-house meetings which are held at Capel Library and start at 7.45pm. You may attend either on your own, with a friend, or as a guest of someone who is already a member. As a guest or visitor it will cost you £3 each time, but once you join a year’s membership is only £6, plus £2 for each in-house meeting. This covers the cost of visiting speakers and refreshments. Outings are charged for separately. For further information please browse this website or call our Chairlady Di Barker on (01473) 311870. 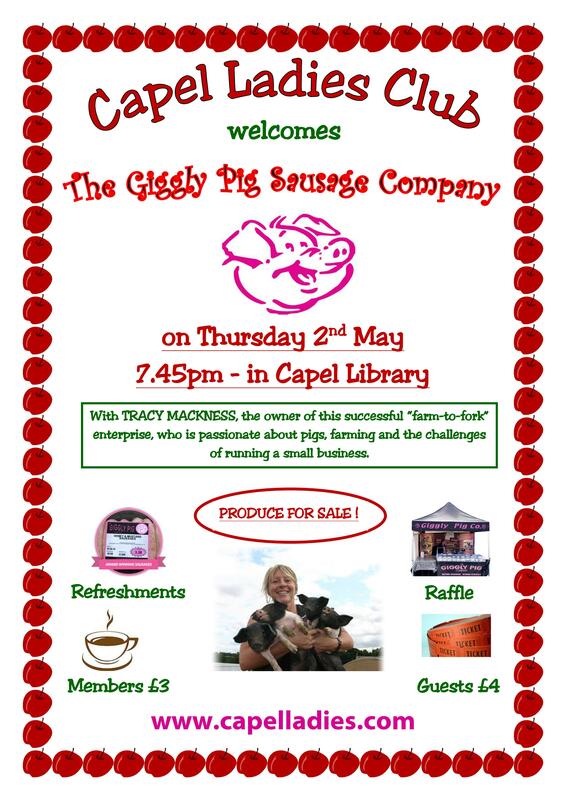 We look forward to welcoming you to Capel Ladies Club! Hello, I am the director of the annual village pantomime in the village , this year we present Jack and The Beanstalk, I know a few of your lady members as I grew up in capel st mary, this year I returned to the village to direct the show after spending time working in the the theatre I am delighted to return to my roots . The show tickets are on sale now and we invite you and your ladies to come as a group, tickets are £8 adults, £6 concessions and £5 children, if more than 10 tickets booked I will give your two on the house. Jan 8th, 9th, 10th with a sat matinee.